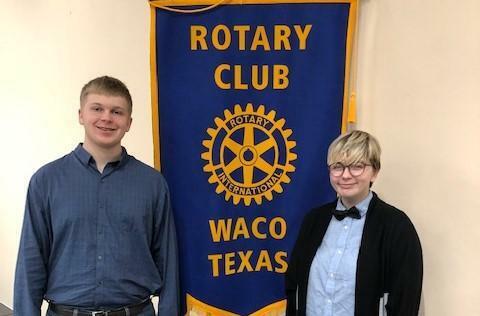 Congrats to Alder Fulton and Harmony Harper - our Rotary Outstanding Seniors for 2019. Each year the Rotary Club of Waco honors two outstanding seniors from each area high school. Our recognized students this year are Alder Fulton and Harmony Harper. They were recognized at the Rotary luncheon on Monday, February 4th.